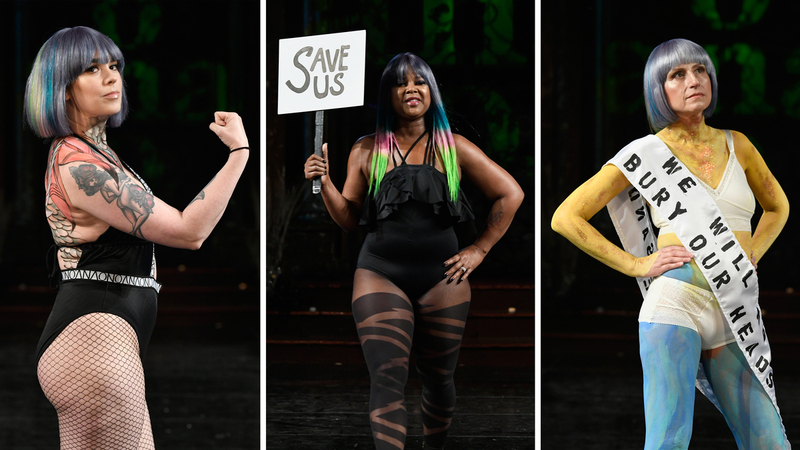 At New York Fashion Week, Metastatic Breast Cancer Patients Walk The Runway : Shots - Health News At a recent fashion show, models came out about their diagnoses — revealing both cancer's scarring effects on their bodies, and their defiant embrace of life. The models walked the runway wearing lingerie by AnaOno and some wore t-shirts from Empowerhaus. The show took place at The Angel Orensanz Center on Feb. 10th in New York City, N.Y.